Airbus Defence and Space, a subsidiary of the aerospace corporation Airbus Group that builds the Ariane 5 launchers for ESA and Arianespace, has presented the project of the Adeline (ADvanced Expendable Launcher with INnovative engine Economy) system to reuse part of rockets’ first stage. 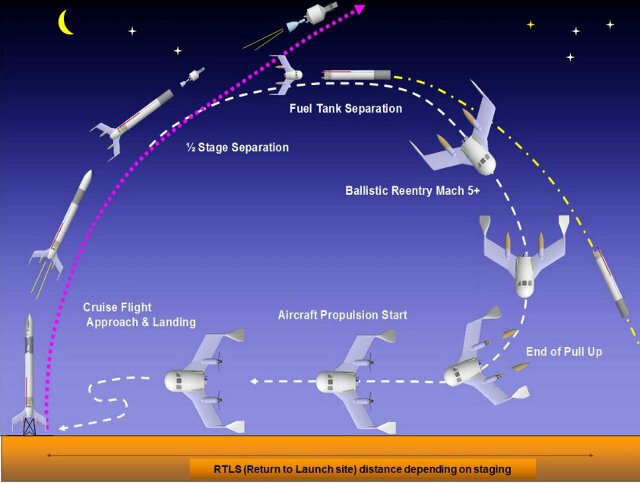 It also presented plans to build space tugs to be placed in orbit, where they’ll deliver newly launched satellites into their required orbit. 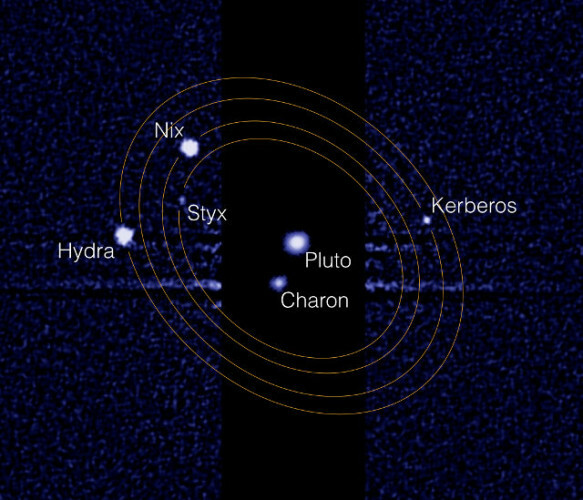 An article just published in the journal “Nature” describes a research on Pluto and its moons showing how two of them, Nix and Hydra, spin in an uncontrolled and unpredictable way. This study is based on an analysis of the observations made using the Hubble Space Telescope but because of the considerable distance they’re far from complete. For this reason, it’s possible that the two other small moons of Pluto, Styx and Kerberos, are in the same situation. 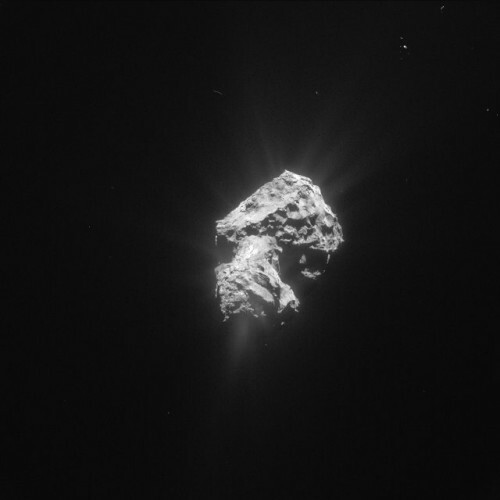 The journal “Astronomy and Astrophysics” will publish an article that illustrates a discovery about the atmosphere of the comet 67P/Churyumov-Gerasimenko generated by the sublimation of the ice it contains. Water, but also carbon dioxide, are turned into steam but thanks to the instrument Alice of the space probe Rosetta it was possible to discover that these molecules get broken and that this happens in two stages. 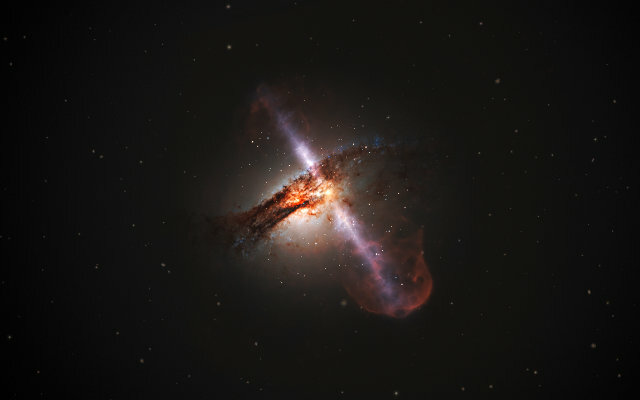 An article published in the journal “Astrophysical Journal” describes a study that established a link between the presence of supermassive black holes that emit jets of materials to nearly the speed of light but also radio waves and galaxy mergers. An international team of astronomers led by Italian INAF researcher Marco Chiaberge used the Hubble Space Telescope in the most extensive survey of the kind ever conducted.